At the start of the year I spoke in detail about my French Bulldog Stitch and how I was working on being a responsible owner and making sure his needs were met. This meant improving his diet and increasing his exercise in the hopes it would not only make him happier but it would also have a positive impact on his health. Coinciding with that I have also enlisted the help of a dog behaviourist and trainer and we have been working on Stitch’s behaviour on a whole as well. It’s evident that I love my dog very much and anything I can do to help or improve his health and lifestyle I am willing to try. Recently we were sent a Mishiko Dog Collar which is a GPS and activity tracker which we have been trying out! The Mishiko Dog Collar is a GPS and activity tracker in a simple and comfortable unit for your dog to wear. It has no wires and charges via it’s own wireless charger. 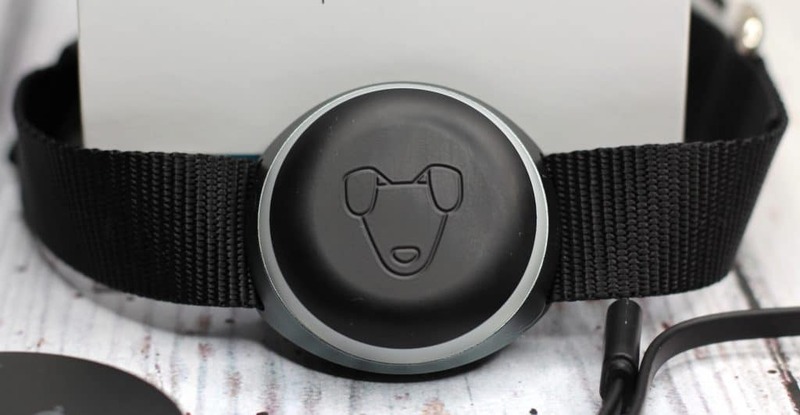 The collar has an aluminium unit that is fully waterproof so ideal for dogs that like a quick dip in the pond or a splash in muddy puddles. Even at night your dog can be easily spotted with the use of the bright backlight making it a great safety feature. The Mishiko Dog Collar works worldwide so if you take your dog on holiday you will still have access to all the features! I love the idea of a GPS tracker for dogs because let’s face it even the best-behaved dog can become spooked and run off. Recently whilst we were loading up the car with some furniture Stitch bolted from the garden gate – something he has never done before. My heart literally stopped and I instantly had flashes that he wouldn’t come back. He seemed almost worried that he was ‘free’ and although he didn’t run too far it was enough to make me panic. We got him back within a few minutes but I did wonder what would have happened if he had ran off somewhere. How would we ever find him? Would we get him back? It made me quite emotional which I think the pregnancy hormones didn’t help! If Stitch had been wearing a GPS tracker like the one in the Mishiko dog collar there would have been peace of mind that even if he disappeared out of sight we could still track him from the app and what a reassuring idea that is! 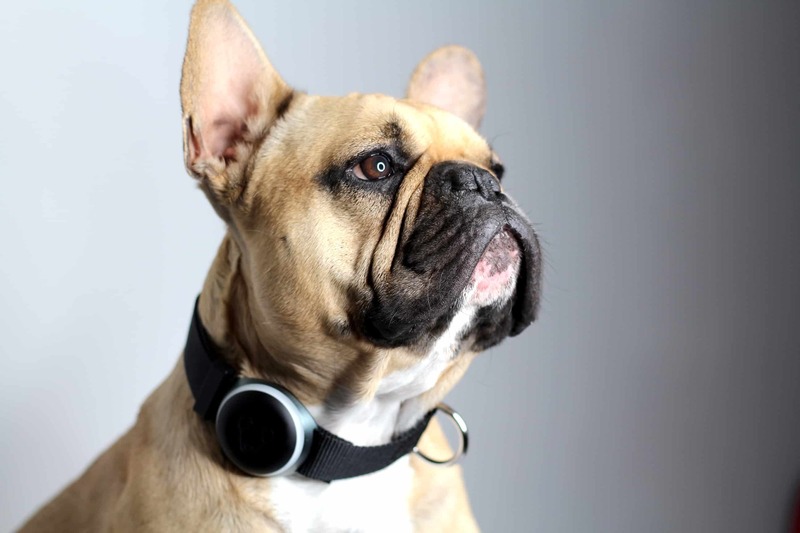 Not only is the Mishiko Dog Collar a GPS tracker it also tracks your dog’s activity. So for example Stitch should be aiming for around 57291 steps a day. Having the handy activity tracker means I can keep on top of exactly how much exercise he is getting day to day. This is great for encouraging those extra walks particularly if you have a dog with weight problems. It’s easy to think your dog is getting enough exercise but when you look at the evidence you might find yourself quite surprised! 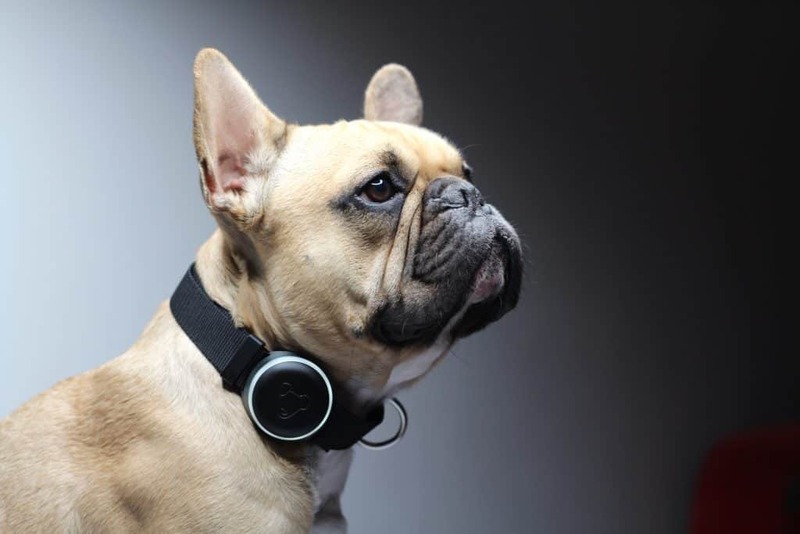 The Mishiko Dog Collar App was easy and simple to download and pair to the collar. The app itself is seamless to use and very informative. I have found no problems or issues with accessing the information or syncing the device which has been refreshing. It means I can check Stitch’s activity and GPS location without needing to remove the collar which is handy! 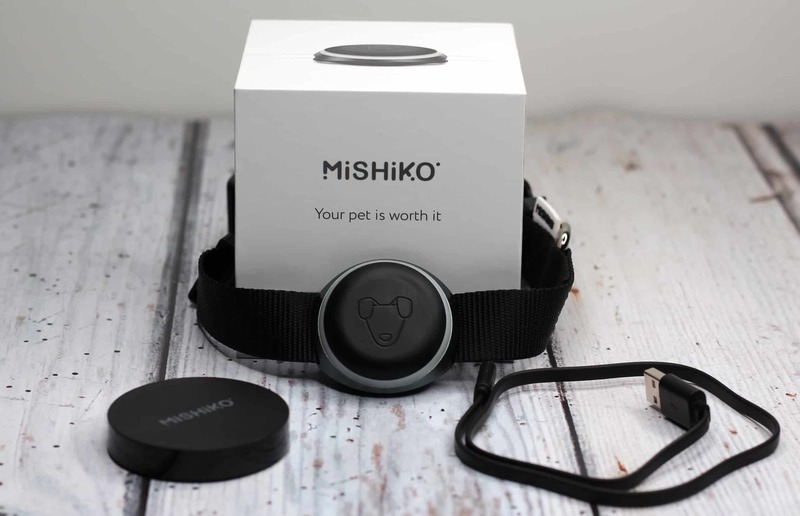 I’m very impressed with the Mishiko Dog Collar the features and functionality are fantastic and I feel like it adds extra security and peace of mind to me as a dog owner. It also has me thinking largely about how much exercise Stitch is actually getting and motivates and encourages me to implement more walks when needed. There are so many more features to the Mishiko Dog collar like setting a perimeter so that you are alerted when your dog leaves a certain area. I know that this collar will be a great addition in keeping Stitch safe and healthy. Stitch doesn’t normally wear a collar around the house so at first he wasn’t sure what to make of it but it’s very comfortable and easy to wear and before long he was walking around without realising he was wearing it. 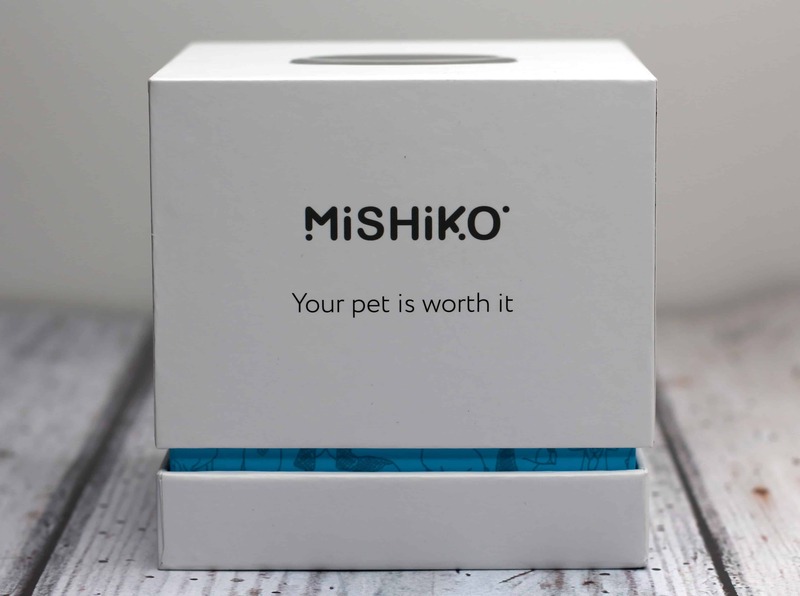 What do you think of the Mishiko Dog Collar? Is it something you think you would use for your dog? You can find out more on the Mishiko website here. The collar is available to buy from *Amazon here. The Mishiko Dog Collar was sent to me on a gifting basis. As always all words, opinions and views are my own. Links marked with * are affiliate links this does not cost you anything. For more information on any of this please head over to this page.